Hello! Welcome to another year of plastic free and zero waste adventures by The Rogue Ginger. I have so many blog posts in my head, ready to be typed up and sent fourth into the world. 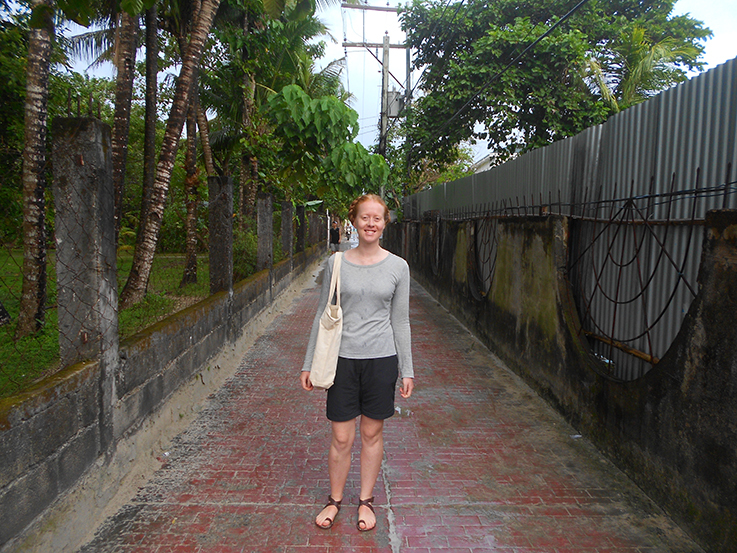 But right now I am going to pen about my first zero waste adventure that I undertook with the Builder in the beautiful Philippines. 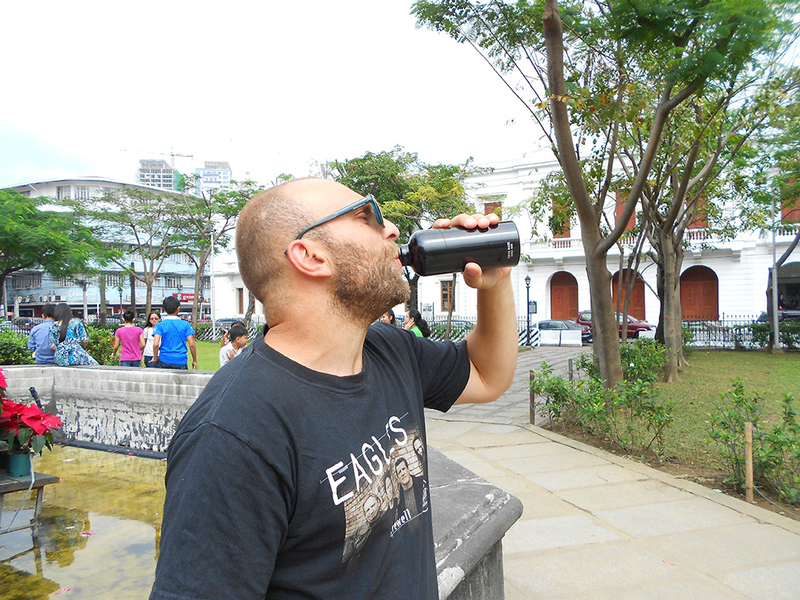 You can read about my attempts at plastic free travel adventures in Myanmar and China too. 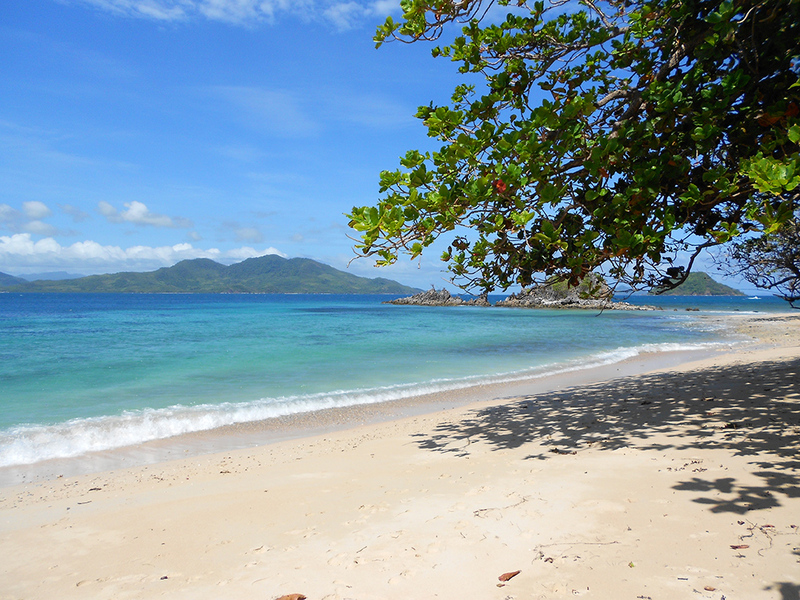 The Philippines was on my mind as a travel destination two years ago. But the costly airline carriers that serviced the route to the Philippines from Australia deterred me from visiting. Last year that changed with no frills airline Cebu Pacific beginning operations between Sydney and Manila. We found a cheap flight and booked a connecting flight from Melbourne via Tiger Air to Sydney for our 8 hour international flight. 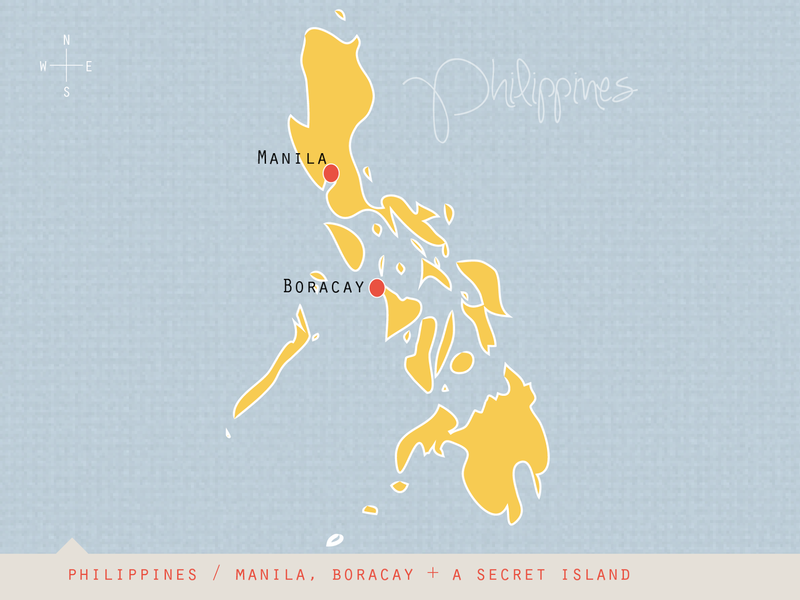 We visited Manila, a secret island and Boracay. I have been asked not to reveal the islands location. A remote island adventure has been on my bucket list for years and I was able to cross it off the list. It was not a fancy resort, just a very chilled and basic experience. My kind of holiday. I had it organised through Docastaway for anyone who is after a similar experience. This post is about how we avoided plastic and waste in the Philippines. Our accommodation was eco but I am not going to talk about the accommodation. Rather focus on what we did where we went and some of the eco efforts of local groups we encountered along the way. Cebu Pacific is a low cost carrier meaning that the passenger pays for everything. It's one of the ways the airline keep air ticket prices low. If you want food, blankets, entertainment, water and the entire usual garb you get when flying then you need to pay for it. They also don’t have any type of premium seating – everyone is flying economy. One of the reasons I like low cost air carriers is that I can avoid the waste created by not buying anything, especially meals. On a flight last year to Fiji with another airline I tried to prearrange for my meal to be cancelled. While they made a note of this I was informed that I would need to remind the check in desk who then told me to tell the cabin crew when I board. They did not bring me a meal but they had one warmed up for me and they admitted that it would need to be thrown away due to health reasons. So….it was far easier this time! 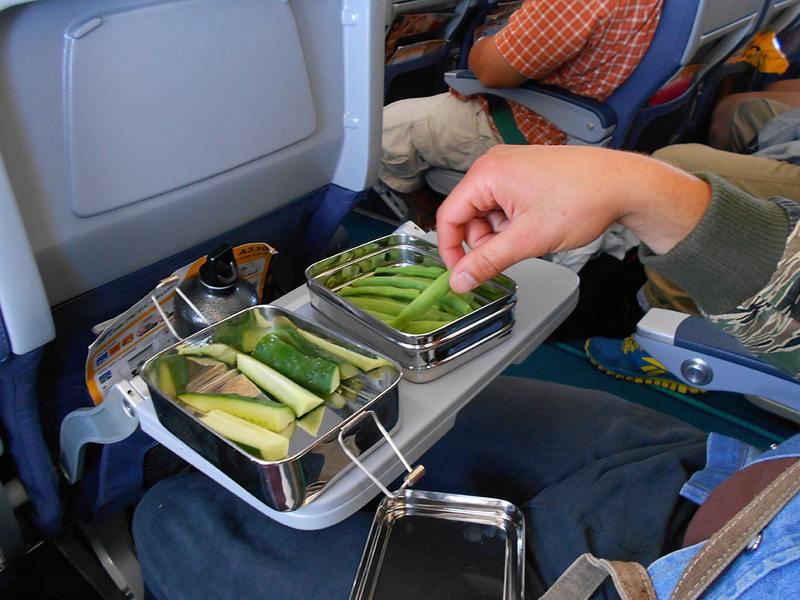 On the Sydney > Manila leg we took a meal of cucumbers, beans (from the garden!) and nuts (so many nuts!) in our own containers and bags. We thought that since we are sedentary for 8 hours and probably napping for some of that time, then we can do without a meal. Snacking was more than satisfactory. The MAJOR downside to the Cebu Pacific experience was that the crew could not refill our water bottles because all of their water was bottled. 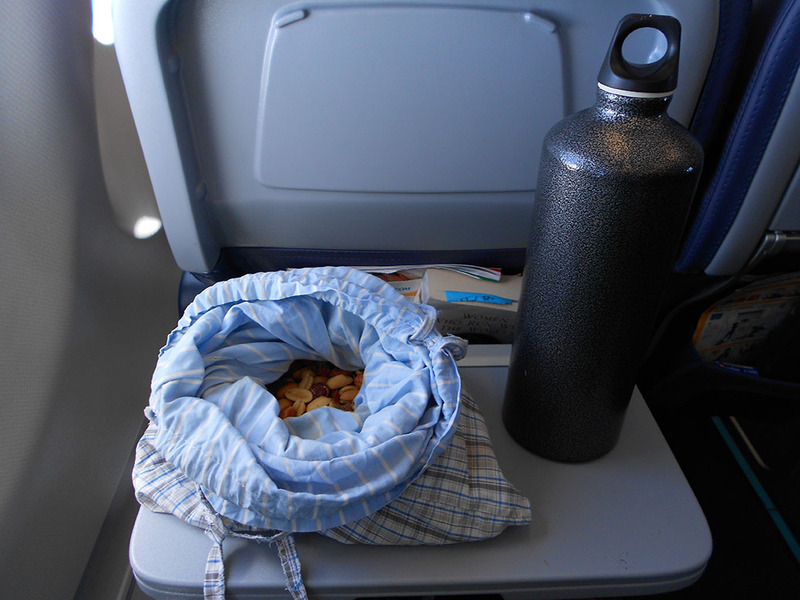 On other airlines I have been able to have my bottle filled from a tap on board. The Sydney to Manila leg was fine as we could fill 2 x 1 litre and 1 x 600 ml bottles at Sydney airport for the flight. Remember we were only flying 8 hours and figured we would be ok. We did say that if worst comes to worst, and we get thirsty then we would buy a bottle of water. But lucky we fell asleep and did not worry about the water. On the return flight from Manila to Sydney we were not so lucky. You see, Australia has strict quarantine laws that are enforced to protect our flora and fauna. Rightly so, it is precious! 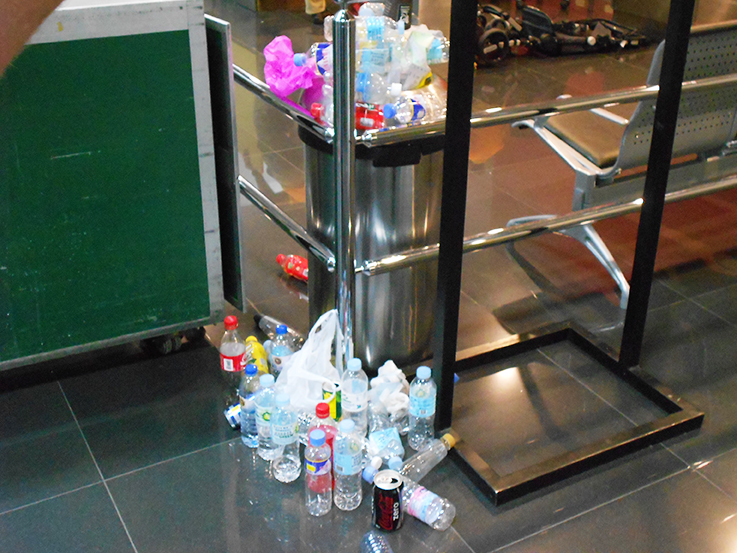 As a result no one was allowed to bring their own water bottles on the plane and had to be disposed of at the boarding gate at Manila Airport. I encountered this same scenario when I was returning from Fiji last year and Malaysia the year before…so I had a sneaking suspicion that this wold happen again. The airlines I flew for Fiji and Malaysia had services to fill up my water bottle on board. Knowing Cebu did not and that we could not take any water onto the plane we decided to drink all the water we could before we boarded the plane as it was a red eye flight and would sleep for most of it. Good idea right? WRONG. Manila airport is void of any water fountains, public water coolers….anything. The water available in the lavatories is not safe to drink and all the restaurants we visited would not fill up our water with their own water even when I offered to pay them money saying they were not allowed. They insisted our only option was to buy bottled water. I did understand why. Each restaurant had water coolers full of clean drinking water that was used for cooking and no doubt would be expensive for them to buy. I understand they want to conserve. One restaurant did fill up our bottles for free but would not take the money. They were good samaritans. However I will admit that we were ready to buy water on the plane if we could not get water and would recycle the bottles when we got back to Australia. But we didn't need to. So big thanks to the crew at Kaishu Rice Noodles Express in Manila Airport. We got our water and guzzled it right before boarding the plane then promptly fell asleep. I did think about buying a SteriPen for this trip. It would have been handy for this kind of situation. However next time I will do more research on the airlines water and the airport we are departing from also. Apart from the lack of free water, Cebu Pacific is an efficient airline and we used them to fly within the Philippines too. The first waste we created was plastic packaging from a power converter purchased hastily at Melbourne airport. I really truly believed I had one but unfortunately this was not the case. Had I looked through my travel gear earlier and not while running out the door, I would have happily borrowed one from a friend. One major unfortunate waste we accumulated was the baggage labels because we had to check in our luggage on some flights due to the planes size and having an a small tiny fold up travel umbrella (seriously? a weapon..?). When we did not have to check in luggage the check in staff placed a sticker on our luggage anyway. And there was the dreaded BPA coated thermal paper which some of our boarding passes were issued on. 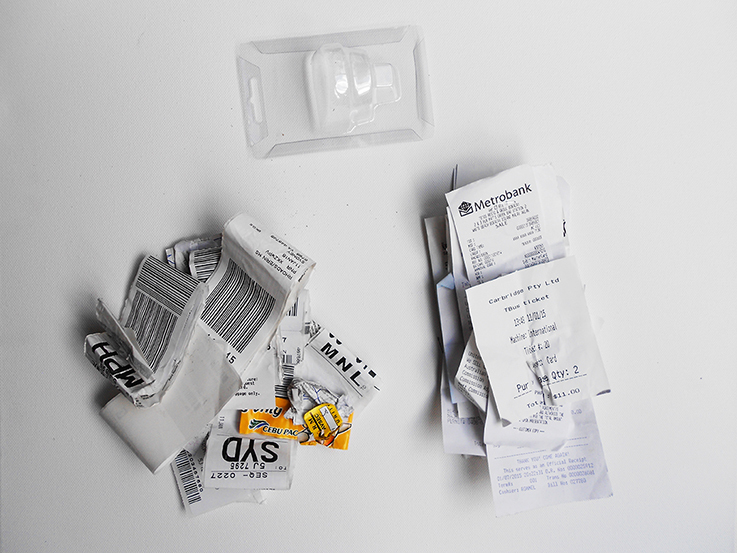 We also collected a load of receipts over the two weeks from restaurants. We would ask for no receipts but they snuck through. Most of them are printed on thermal paper and thermal paper cannot be recycled here in Australia. What we did not take home with us were three plastic straws that we were given to us in Borcay. And let me explain why we gave them back to the staff members to chuck out (even though we asked them to reuse them…). We were lucky to avoid most straws as we would ask staff to write down we don’t want a straw and then we would explain why. When it first happened we gave them back straight away telling the waiter they should reuse it. We thought about taking it home but realised they would not get the point of us refusing if we kept them. We believed that we could reiterate our stance if we gave the straw back to them showing that we don’t want or use straws. So two straws either got reused (hopefully). The other one we witnessed go into a bin. Most restaurants would ask patrons to fill out a review after the meal. We took the opportunity to let the manager know that they should rethink offering straws to customers as Borcay and its surrounding environments would benefit if they did. There was also a Tourism Office located in the D’Mall shopping strip and I decided to visit. I left comments about encouraging cafes and restaurants to limit straws and encourage people to take advantage of the water refill stations located on Main Road or use the purified hotels water rather than buy bottled water. I also asked them to consider banning beach bean bags also….it was more a letter than a couple comments. And my glasses that I broke? I had them fixed! 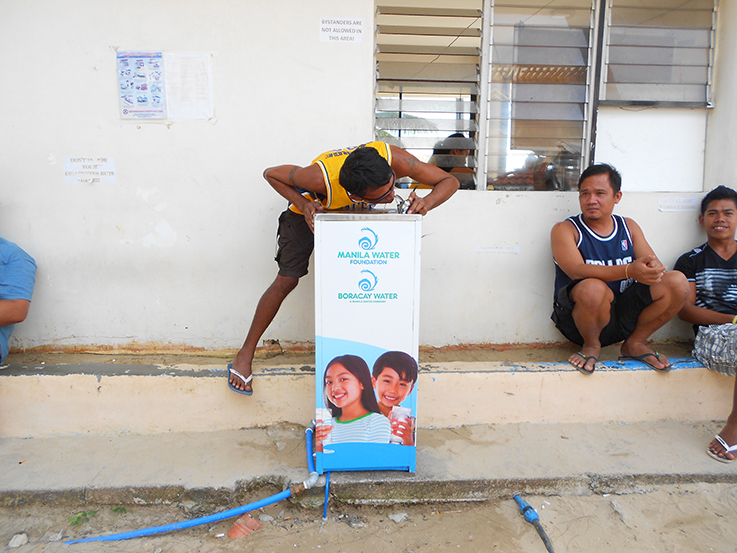 If you live outside the Philippines there is a big chance the local water might irritate you and make you sick. So we did not drink it. Instead of buying bottled water we did the following (I broke it up into the locations we stayed). We stayed in a hotel and had access to a kettle plus the hotels restaurant to keep our bottles refilled. Other restaurants were able to fill up our bottles too. There are also refill stations like Crystal Clear. 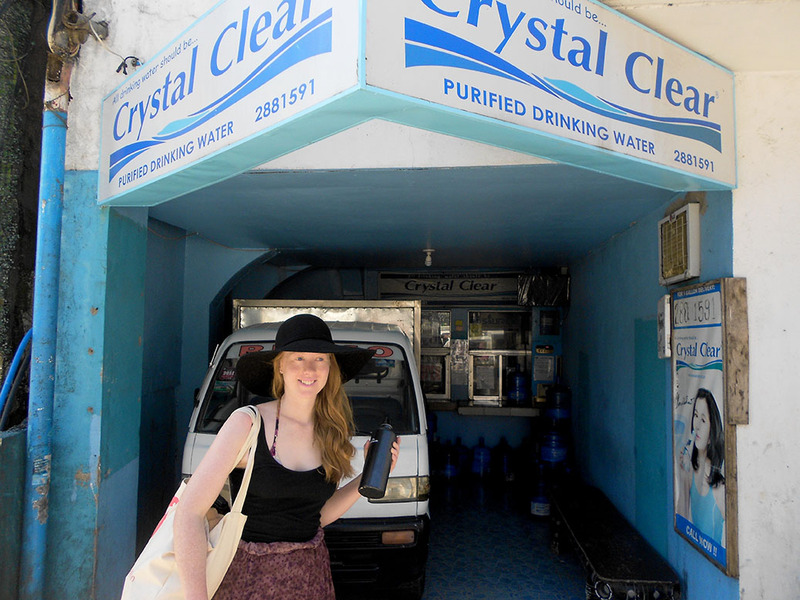 These stores are where the locals and local business go to collect clean water. You can ask your taxi driver to take you if you are outside the central CBD district. We saw so many on our way to Intramuros. Like every other corner! Our accommodation had water on the island carried over from the mainland so we were able to refill our bottles daily. While this was great we did chat about the waste created through hauling water all the way to island. Ah, the water guilt. We made use of the refill stations on Main Road. It cost 5 pesos (14 cents) to fill a liter bottle. There are two bubblers on White Beach located at Station 2 and Station 3. We took our own cloth bags to collect fruit for snacks. I have to admit that one of my favourite travel activities used to be trawling local snack shops and trying the local snack food which was usually packaged and dyed obscure colours. I’m probably healthier avoiding it. In our arsenal we also had stainless steel straws that we used to drink coconut water with. We had some weird looks but whatever. Plastic waste is so much weirder!!! Plus my Buko juice looked waaaaay cooler. Each of our accommodation options had shampoos, soaps, etc. Some were refilled which was nice. But we just took and used our own just in case. 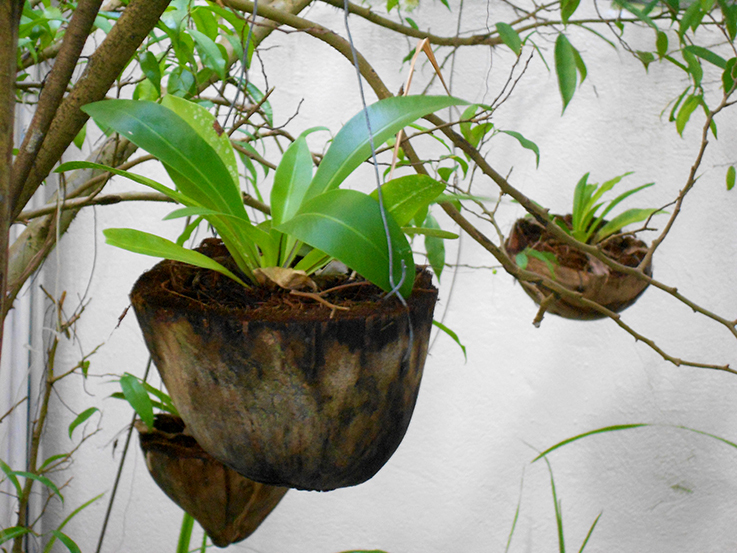 We knew our toiletries were safe with no harmful ingredients too, so no risk for us or the environment. 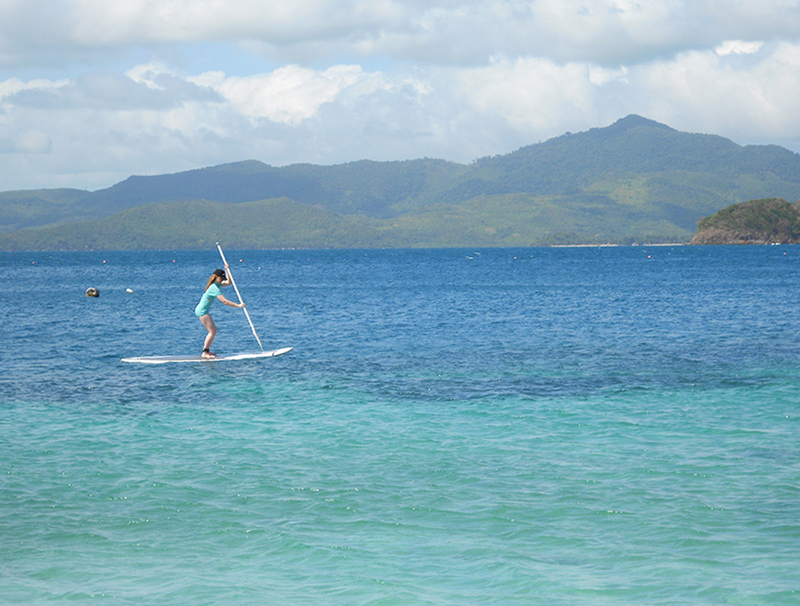 I loved the Philippines. We both agreed that a trip back is on the cards. We encountered many organisations that were working hard to create sustainable travel practices for the environment and the locals. On the secret island we stayed we learnt they prefer not to serve a lot of fish because they don’t want to over fish preferring to serve fresh organic vegetables from local islands. 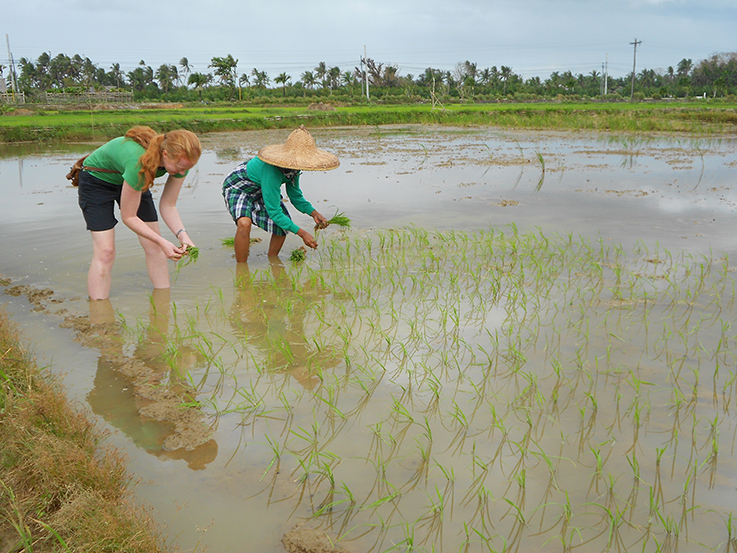 By doing this they encouraged locals to farm rather than fish, which is how it was done before modern day fishing practices. My only concern is Boracay’s growth. 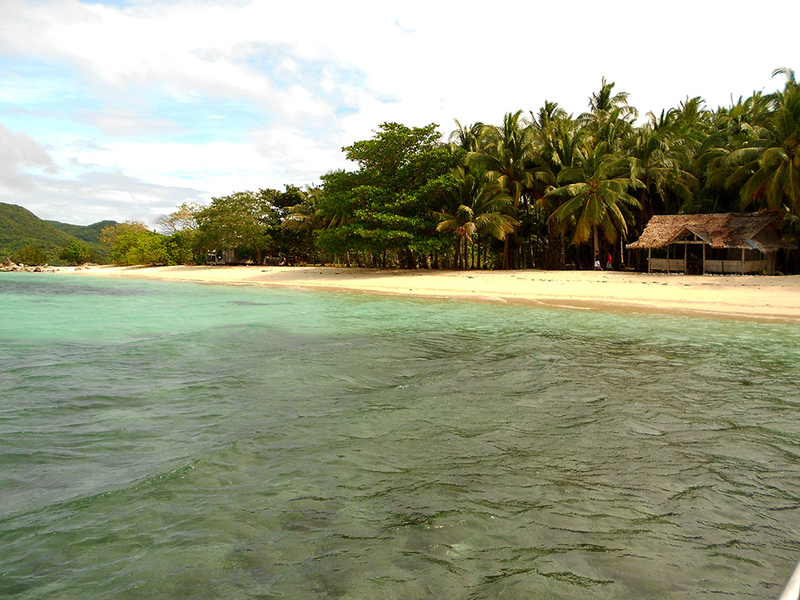 It is an island with a beautiful beach and the hotels are conveniently located 200m from the water. I can see why tourists flock here. We went there for the kite surfing but had we known about the crowds, we would have picked another area to surf. Local business on White Beach were responsible for keeping their beach front clean and they did a great job. But each afternoon we picked up rubbish from the beach that was generally left there by tourists or blown out of bins. 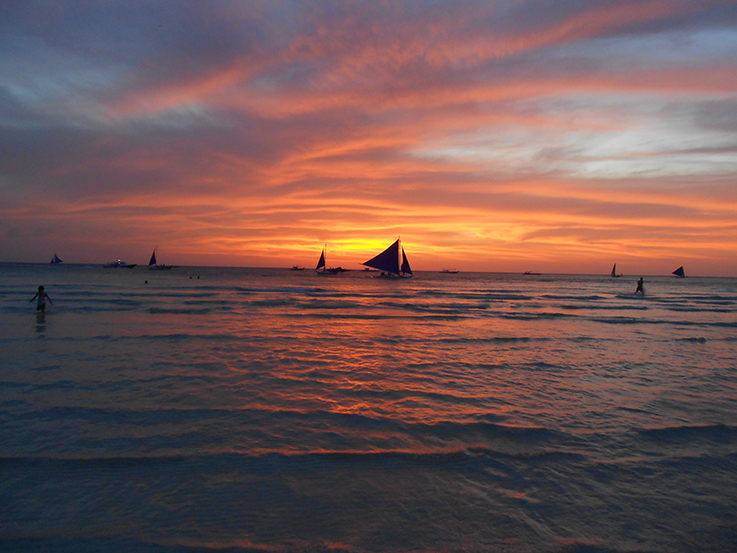 If you are looking to visit Boracay don’t forget about the other islands surrounding it. 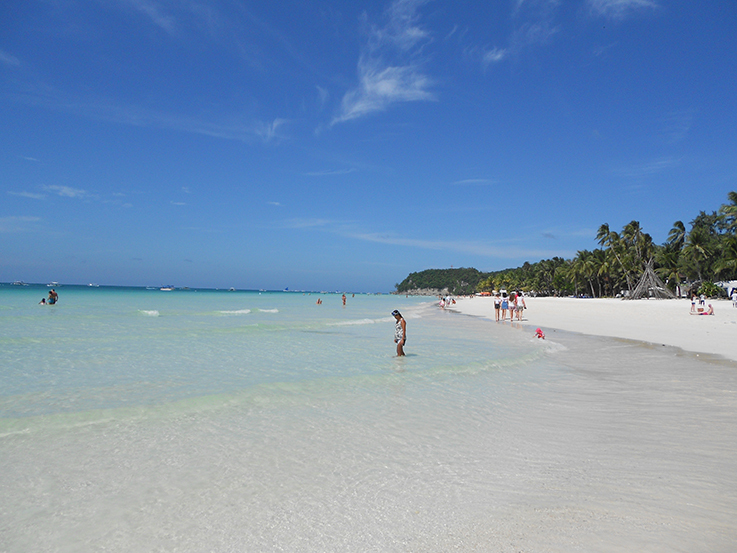 Due to the frenzy of tourists in Boracay there is not a fair distribution of money going around. Visit places like Motag Living Museum and see what life was like before tourists took over. So you have read about our trip. What would you have done differently? 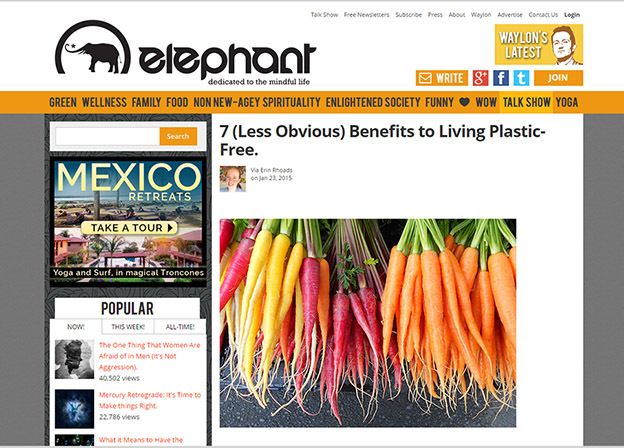 Did you pick up any helpful tips for a plastic free/zero waste visit to the Philippines?